Aimed squarely at entry-level boat buyers and those looking to step-up from pressed-aluminium tinnies, the 490 hull series brings Bar Crusher’s renowned quality and performance within reach of more people with its mid-$30k price tag (depending on options). Measuring 4.90m LOA, with a 2.00m beam, the 490C and 490WR are built on Bar Crusher’s industry-leading Gen2™ hull design with Delta Flare™. The high-tech Waveslicer® non-pounding, deep-V hull delivers an ultra-smooth ride, the expertly-engineered Rigideck® sub-floor system creates maximum hull strength and Bar Crusher’s exclusive Quickflow® water ballast technology ensures the 490C and 490WR are extremely stable at rest. Bar Crusher director Peter Cleland said the new 490 series would completely change the way many people looked at sub-5m aluminium boats. 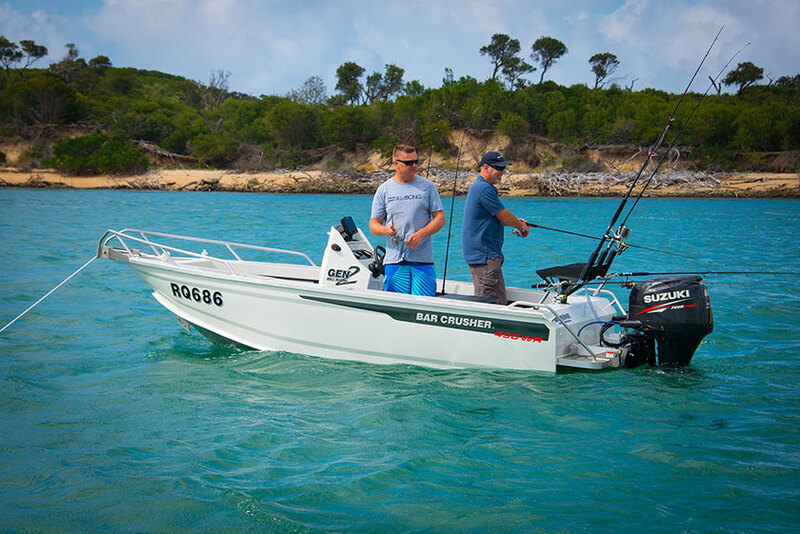 “Our design philosophy behind the 490 series was based on providing anglers with a smaller boat that had all the engineering of the larger Bar Crusher models at a very reasonable price,” Cleland said. “Extensive testing has proved the 490C’s on-water performance is outstanding… it handles 20kt of breeze and messy wind chop like it’s a much larger boat. 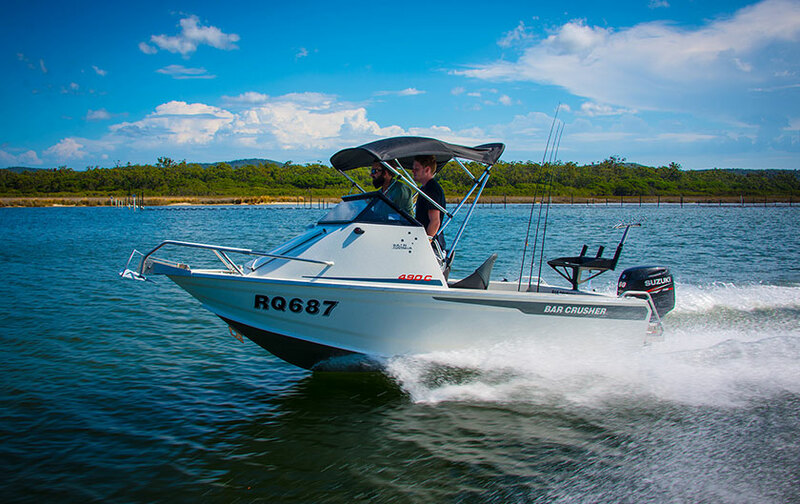 Lending itself to family fishing, the 490C is a tough all-round cuddy cabin boat that will handle the punishment first-time boaters often inadvertently dish-out to their boats. Great performance, easy to tow, launch/retrieve and maintain, it’s destined to ensure people stay involved in boating too. The walk-around centre console 490WR will prove popular among lure casters and trollers. Freshwater, estuary and inshore, it’s the baby Bar Crusher many anglers have been waiting for! Incorporating a 60L underfloor fuel tank and rated to carry a 40-70hp outboard, dry tow weights of the 490C and 490WR are 840kg and 800kg respectively, ensuring the boats are easily towable by smaller vehicles. Folding safety glass windscreen and seat boxes incorporating tackle storage (490C), forward casting platform (490WR), cast aluminium rod holders, heavy duty boarding ladder, berley bucket and muncher, LED lights, and other items are among the list of standard package features.. The 490C and 490WR are each packaged on a custom-designed trailer, which ensures towing, launching and retrieving is a breeze. Self-centering and aligning perfectly every time, Bar Crusher’s innovative Bar Catch™ system also allows for single-handed launch and retrieve. Want more? Check out the videos!